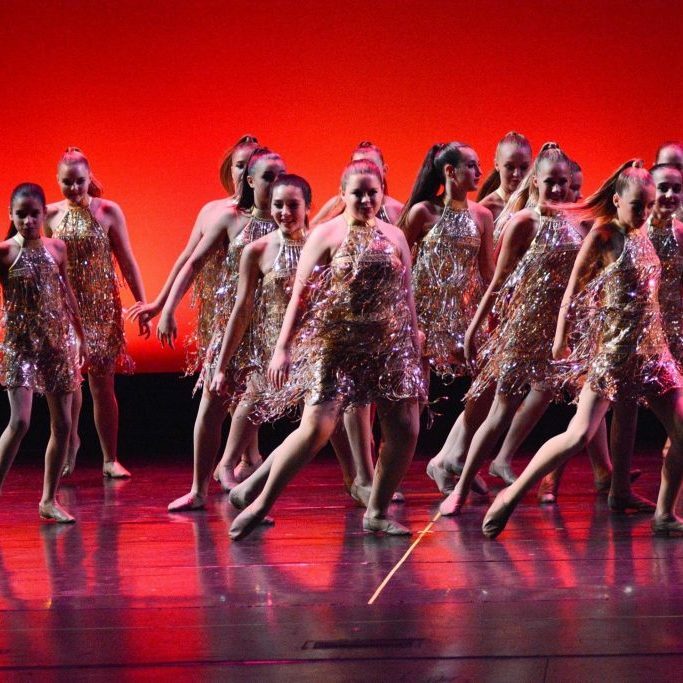 At Legacy Dance Studio our program is designed for your dancer to grow individually. We are dedicated to offering classes with a high standard of technique, style and performance. Through discipline, encouragement and hard work, excellence can be achieved by gradually increasing subjects studied and expanding performance opportunities for our students. In order to accomplish these goals, core values in integrity, respect, responsibility, character and professionalism must be maintained. It is the philosophy of Legacy Dance Studio to embrace movers at all levels and ages. Our intention is to create a structured, loving, creative environment where students are inspired to express themselves through the art of dance. 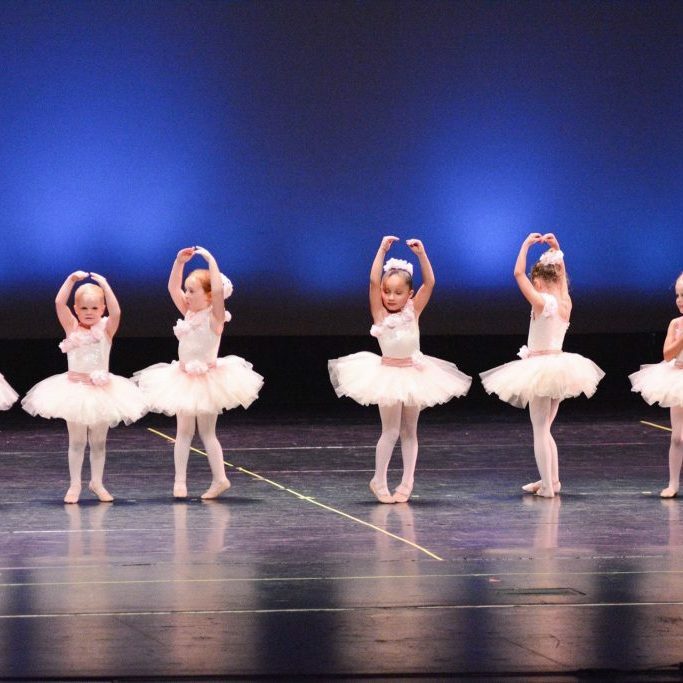 We use a process oriented curriculum that builds upon the foundations of ballet, tap and jazz dance to create a safe, strong foundation for our students to flourish as they grow and discover their inner dancer. Dance education goes further than just the dance steps, at Legacy students will learn proper body alignment, technique, terminology, and the basic fundamentals needed to pursue dancing in college or professionally. Classes Begin the last Monday of August and conclude with the presentation of our Showcase in June. All Legacy Parents will have an online account through Dance Studio Pro. Please expect to receive emails, texts and phone calls through this account. Please login in frequently to stay up to date on the latest information. The Legacy Dance Studio is not responsible for missed information if you unsubsribe to the service or do not login in to your account. *Legacy Payment Installments are based on the number of weeks out of the season, including all Holidays and Breaks. Students should come dressed in their proper dance attire. Please label your child’s dance shoes and bag with his/her initials. No Tap Shoes in the Lobby, they are to be put on and off in the dance room ONLY. *If you decide to get your shoes elsewhere, please check that you are getting the correct shoes and dance wear for Legacy Students. Sweatpants, leggings and t-shirts that secure and cover the body and have hip hop flare. 1.Each child must have his/her dance shoes at each practice. 2.Dance shoes should not be worn outside and street shoes are not to be worn on the studio floors. Please take off your street shoes before walking into the studio. 3.Any jewelry or extra accessories should be left at home and are not permitted in class. 4.Please put your name on all articles of clothing and shoes. The Legacy Dance Studio is not responsible for lost or stolen articles. Legacy Payment Installments are based on the number of weeks out of the season, including Holidays and Breaks. Installments are DUE by the 1st of each month, please pay online, cash or check written to The Legacy Dance Studio. Monthly Installments are for The Legacy Dance Studio Professional Services rendered, including the securing of your child’s placement in curriculum, instruction, and performances. There is an annual Registration fee of $30 per student and $15 for each additional sibling. Registration fee and 1st months payment installment is due at the time you register. After the 15th of the month, delinquent payments will be assessed a non-refundable $15.00 late fee. LATE FEES WILL ACREW AFTER 30 DAYS. Please make sure to include your child’s name and payment details with each check to ensure your payment is applied properly. Payments can be made online or can be submitted to the front desk at the Studio. A $30.00 fee will be charged for all returned checks. Installment Reimbursements are only available if 2 or more classes in a month are cancelled and make up classes are not offered. Not including weather or other unanticipated closures due to circumstances out of The Legacy Dance Studio’s Control (weather/natural disaster/unnatural disaster). All reasonable steps will be taken by The Legacy Dance Studio to offer at least 1 make up date for any cancelled classes. If a student decides to not continue dance classes and the monthly installment has already been paid, refund will only be given under these explicit circumstances. Our Showcase will enhance performance skills to complete the overall dance experience at The Legacy Dance Studio. The Legacy Dance Studio is proud to hold their Annual Showcase at Daytona Beach’s beautiful News Journal Center in Downtown Daytona Beach. The News Journal Center seats 800 Attendees and is equipped with a full 40 by 40 Foot Stage, Professional Technical Direction, Lighting and House Management. Each class orders a costume, unless otherwise noted (some classes order several depending how many disciplines they are enrolled in, (we always do our best to keep the cost as minimal as possible). Costume deposits are due by October 10th. The remaining costume balances are due December 10th. We cannot under any circumstances, refund money for costumes once they are ordered. If payment is not received by December 10th, your child will not have a costume ordered. Please store each costume and its accessories together. To reach full potential in class, a student must attend on a consistent basis. We expect regular attendance from all our students at The Legacy Dance Studio. Please make sure your child arrives approximately 10 minutes prior to their scheduled class time to ensure preparation for class. If a student must miss a class, please notify the studio. Poor class attendance may result in dismissal from performances at the discretion of the instructor. There are no credits or refunds for classes missed. IMPORTANT: We do not automatically cancel dance classes if there is no school, please refer to our monthly calendar below for no class dates. Please do not bring gum, food, or drinks into the studio. Make sure to dispose of any trash that may be left behind. Please remain quiet in the waiting room until your class. No Cell Phone or Social Media use while in the dance studio or during class time. Please be respectful of yourself, your classmates, and your instructors. Positive attitude and willingness to work with others. No whispering in dance class. If you have questions or concerns–please TELL US! If instructors are busy with classes, we will call and plan to speak or meet with you at a convenient time. Click Here to contact us or call 386-295-9298. Please come into the Studio and make sure you have received any current information that may have been handed out, this is especially important at recital time. Notify instructors of any difficulties your child may have. Please call if your child is going to be absent or needs to leave early. Pay monthly installments and fees on time. Please make sure to review this handbook and all guidelines with your child. At the Legacy Dance Studio, we are striving for a positive and respectful environment for our Instructors, Students, and Parents. We will not tolerate bullying or disrespectful behavior in any way. Such behavior can result in dismissal from the program. Email newsletters will be available online and by email. All correspondence will be posted in the newsletters to ensure that you will be up-to-date with Legacy news and events. Please make sure you list a current email address on your child’s registration form, so you may receive all updates. You can also follow us on our social media accounts to ensure you have the latest and up to date information. The waiting area at The Legacy Dance Studio is for the convenience of our students and parents/guardians. An adult must supervise all children always. Running and misbehavior through the hallways and waiting area will not be tolerated. Please be respectful of others and the classes in session. Quiet conversation is welcome. We also ask that this area be kept clean and orderly. Trash should be placed in proper receptacles. All waiting room accessories (chairs, books, magazines, etc.) should be returned to their proper place after being used. The Legacy Dance Studio is not responsible for items that are lost or stolen. Please keep the TV area and viewing windows clear so others can see their child dance. Food and drink are not permitted in the studios or waiting area. Absolutely NO street shoes are permitted on the dance floors. Dirt, dust and debris from street shoes can lead to falls and injuries and may harm dance floors. Students are not to lean on or touch studio mirrors. The dance barres are for educational purposes only. Students are not to hang or swing from barres; nor should clothes or towels be hung from the barres. All teaching tools, props, visual aids, and sound equipment are property of The Legacy Dance Studio and should not be used without permission of the instructor. Children must be potty-trained to participate in The Legacy Dance Studio. We ask parents to remind students, especially young students, to use the restroom prior to class time. If a child needs to use the restroom during class time, students need only ask permission from their instructor. Please help us in keeping the restrooms clean. Parents are responsible for transporting their child to and from class on time. Students must wait inside the building until their ride arrives. If there is an issue with being on time, please plan to ensure your child is dropped off and picked up in a timely manner. If this issue becomes persistent, you will be assessed a late pick up fee at the owner’s discretion.